The Pembroke is a hand forged iron, black and gold fleck semi-flush ceiling light, with a circular ceiling mount and feature corkscrew forming the central drop. 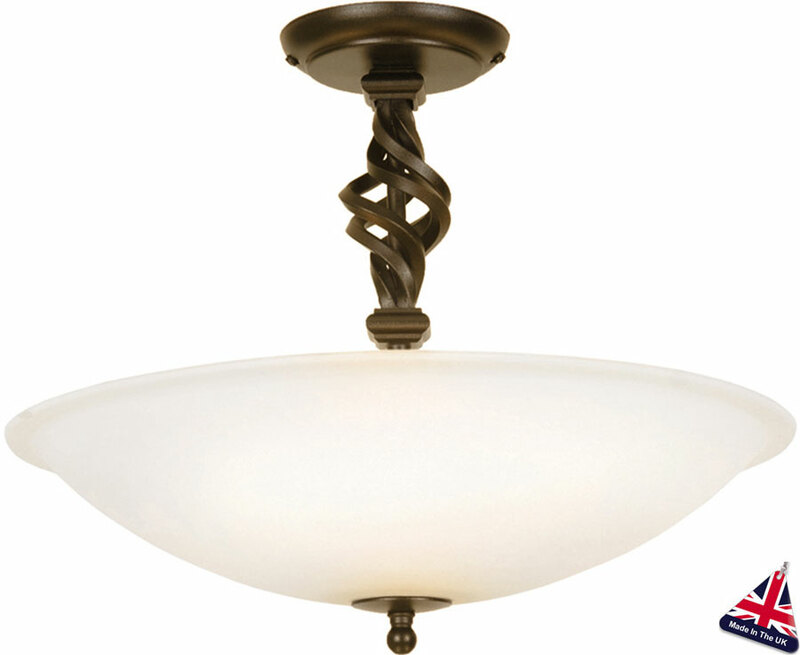 The wide brimmed opal white shade is inverted and held in place with a simple matching screw-on bottom finial. A quality wrought iron three lamp semi-flush fitting, hand made in England by Elstead Lighting using traditional techniques.